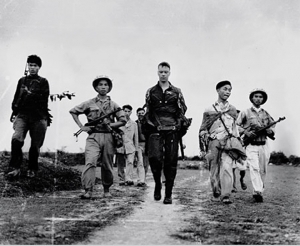 During the American war in Vietnam, allied warriors fighting for the independence of the Republic of Vietnam, when captured, were never accorded the status of prisoners of war as defined by the Geneva Conventions on Prisoners of War. 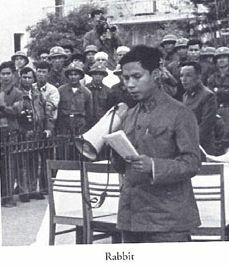 Their communist captors designated them as “The Blackest of All Criminals in the DRV” (Democratic Republic of Vietnam). 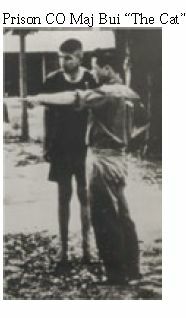 If captured in South Vietnam, Laos or Cambodia, allied prisoners more often than not were executed. 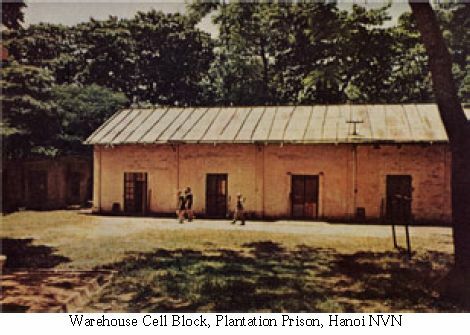 This had as much to do with the difficulty of the logistics of the transportation and maintaining of prisoners by mobile guerilla groups as to the actual and deep-seated antipathy instilled by the North Vietnamese communist cadre towards their enemies. 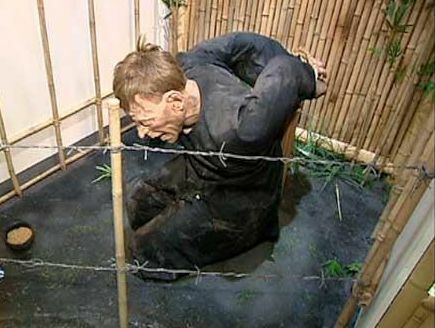 Those Captured in North Vietnam, if they survived the understandable anger of the peasantry, were incarcerated in isolation after being tortured (95% of us), beaten, starved and humiliated. After all, for 100 years the Vietnamese had been taught well at the hands of the French. 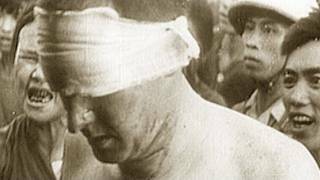 If the prisoners survived their initial wounds, they were preserved to serve the interests of the communist cause. 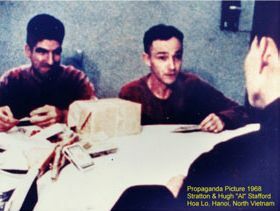 It was not until negotiations between North Vietnam and the United States commenced in Paris that the status of prisoners changed from instruments of propaganda to that of hostages for political advantage. 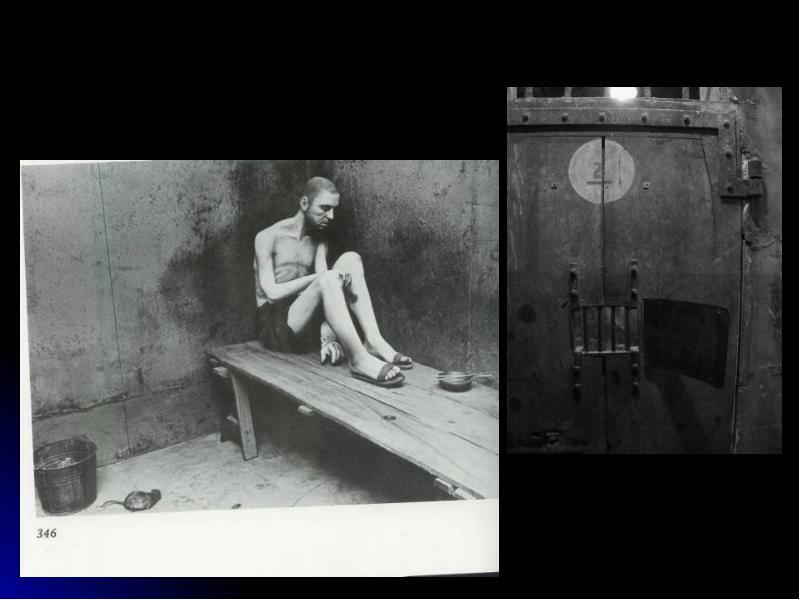 Used by both sides, the prisoners gained a measure of value. As the only issue on which divided America was united, the mistreatment of prisoners of war, served the purposes of President Nixon in the timing of his phased withdrawal from South Vietnam. 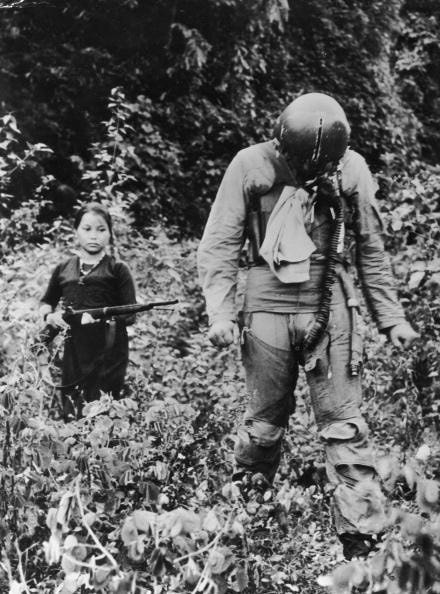 The North Vietnamese saw in the Americans prizing the lives of their fighting men, leverage for extorting concessions from the Americans at the bargaining table. We were never permitted the communication with our families provided for in International Law. The Red Cross was never allowed to visit or verify our status. However, one of the minor benefits of the propaganda show called “The Paris Peace Talks” was that an initial trickle of communication with our families commenced. Knowing that anything could be used for propaganda, we would not initiate a letter unless tortured to do so. In the early years, the receipt of letters or packages was always in the presence of cameras. 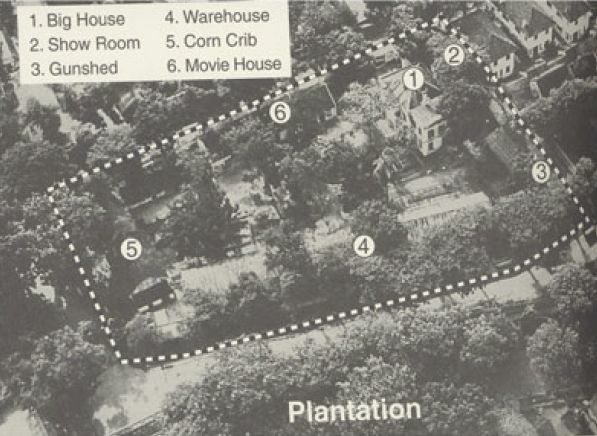 Peace groups were trying to justify their treason in visiting the enemy capitol by being the only ones the communists would permit to carry stuff to and from the prisoners. Most of us would never voluntarily participate in these shows; many times there was no choice. I was one of the first ones to receive a package from home since a picture of me, playing the Manchurian Candidate and bowing deeply had appeared in Life magazine in March 1967. The communists were trying to prove that I had not been drugged or brainwashed. I had not been drugged or brainwashed. I simply had been tortured. The package was made up in a shoebox. When I received it before the cameras it was full. When I received it in my cell, 4/5ths of the contents were missing. 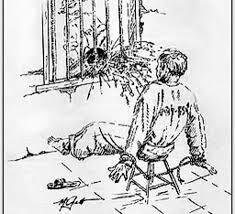 Once, when torture had ceased and package delivery had been regularized for those identified as POWs, I dared challenge them on the theft of the contents of packages. 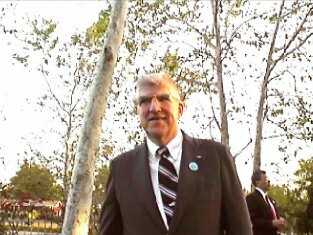 The Cadre was indignant at the charge of impropriety. His response was: “ Stratton, your post office steals some, the Moscow post office steals some, the Hanoi post office steals some, we take our share and you get your share. What are you complaining about?” It is impossible to argue with such impeccable logic! 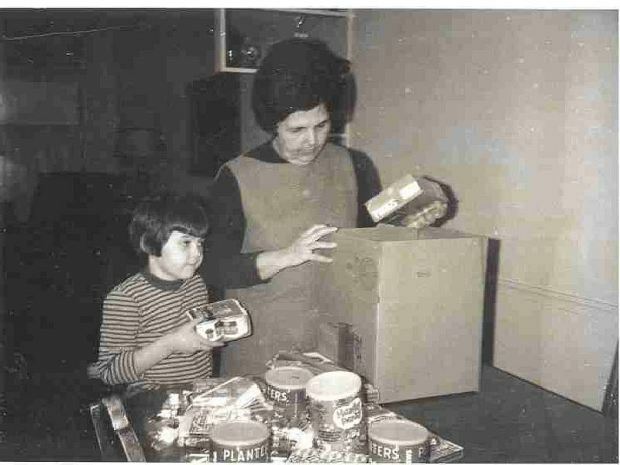 I remember on this first occasion there being some brownies and chocolate chip cookies, items that my wife, Alice, knew I would treasure. But what I did not understand was the inclusion of 6 packs of Juicy Fruit chewing gum. 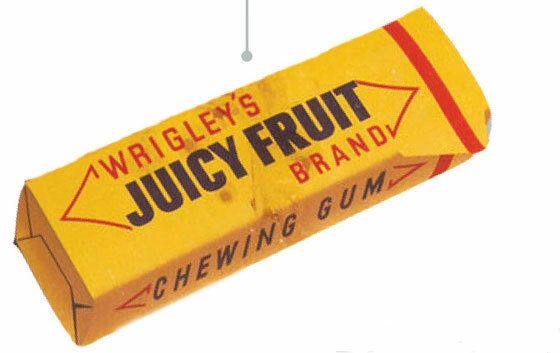 Among things I have an aversion to, and they are few in number, is the pungent smell of Juicy Fruit chewing gum. The mere whiff of it makes me gag. Juicy Fruit had one of two meanings: either she hated me, or THERIN WAS A SECRET MESSAGE. Since there were cookies and brownies in the box, Alice must still love me. The presence of the offensive Juicy Fruit brooked no other meaning than the presence of a SECRET MESSAGE! All I knew about secret messages is what I had read in adventure and spy stories. My roommate, Doug Hegdahl, was no more savvy than I. We both remembered something about invisible ink being brought out by acid of some kind like lemon juice. Also there was a possibility that exposure to heat or light might do the trick. Maybe there would be pinholes in the paper relaying messages in Morse Code. Doug had the task of chewing carefully each piece of gum in case something was imbedded therein. Torture me if you would, but the chewing of that gum was beyond my endurance. I had the task of separating the tinfoil from the wax paper and checking the tinfoil and paper for holes, as well as sensitivity to light or heat. Six packs, five sticks double wrapped in a pack (less one stick the Cadre confiscated to check), 64 possible vehicles for THE SECRET MESSAGE. The final task was to subject the wax paper to the only acidic fluid available in our makeshift scientific laboratory – uric acid. “Never ask your troops to do anything you are not willing to do yourself”, echoed the preflight school advice of Gunnery Sergeant Livermore. As the senior in the cell, it became my task to urinate upon each and every piece of packaging and wrapping – all 64. Carefully each specimen had to be positioned in such a manner that not one spot would remain dry which concomitantly meant that I was assured of wet hands if I did the job to perfection. Here was I, an officer and a gentleman with two college degrees, a Naval Aviator with 3000 jet hours, a Lieutenant Commander in the United States Navy, a thirty five year old father of three, reduced to distinguishing himself in the face of the enemy by urinating upon himself – how far we have come! The task was accomplished within a few days (after all a bladder holds only so much and the water ration was one quart per day). The result – zero, zip, de nada, de rien. NO SECRET MESSAGE or else we booted it. Doug had clean teeth and sweet smelling breath. I had foul smelling hands (bathing was a rare privilege). If the communists were spying upon us in that cell as we conducted our experiments they must have indeed thought that chewing gum was a strange and wondrous substance to require such a preparation. Not too outlandish a thought since they did use our urine and waste to fertilize their “victory gardens”. It was not until our return home three years later that the mystery was to be resolved and then with some difficulty. During my intelligence debrief, I asked the Navy what was the secret message they had sent in that package. They looked at me as if I had lost my wits and even more so after I described our decoding efforts. Maybe, I mused, like in every bureaucracy, it was too secret to even be divulged after the fact to the intended recipient. The debriefers wrote me off as a madman. I asked my Alice, if she had lost HER mind in sending me the Juicy Fruit. She looked at me strangely and denied ever sending me something like that. Was I in the midst of some sort of a convoluted conspiracy? My reality check was that I had a cellmate to attest to the presence of the offending material in that initial package. It was not just one of the many prison nightmares. This was, as Alice in Alice’s Adventures in Wonderland observed, getting curiouser and curiouser. For a while I just sort of laid low, as pursuit of the truth was making me look like some sort of a lunatic. About six months later, visiting a loyal and close family friend, Eddie MacGuire, my Alice, over a glass of Wild Turkey, regaled him with an account of my fantasy regarding the supposed receipt of the Juicy Fruit since he had been the one who negotiated the customs, postage and mailing of that first package. Eddie almost choked on his booze, chortling, roaring, and outright guffawing as she got to the part of the uric acid experiment. It seems that Eddie, when transporting the box to the post office, found that it shook and rattled. He stopped off at a convenience store and grabbed the first things he could find that would fit into the nooks and crannies of the package to keep it from rattling – Juicy Fruit chewing gum!! Mystery solved; NO SECRET MESSAGE. Even today the scent of Juicy Fruit double gags me not only with its own distinctive odor but also with the phantom odor of urine in 100-degree heat and the memory of the frustration of an experiment that failed. Indeed, to this day I cannot even chew a stick of any variety of gum. 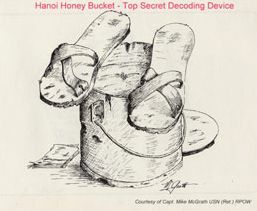 And even to this day, doing my daily urological business brings back the memory of Hanoi in 1967. I still do read adventure and spy stories by choice; but no longer do I consider them to be fonts of scientific knowledge about spy craft. Let it not be thought that packages were for everyone. The communists never did acknowledge having some prisoners until the day of release (and we still have questions about the full accounting they promised). These men and some of the others never received mail or packages. The communists claimed that we were allowed two letters a month – one from immediate family and one from the extended family. My family followed these guidelines. I personally received about 1% of what was sent throughout my captivity and another 10%, some letters 6 years old, in the 2 weeks prior to our release. This was the norm for most of the rest of my prison mates. 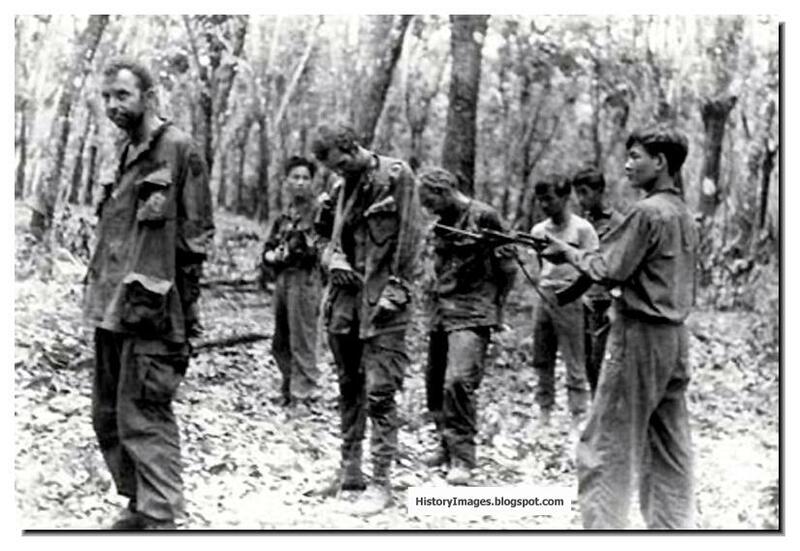 The torture and mistreatment of prisoners of war by the Hanoi government were war crimes no matter how you cut it or what a shyster lawyer like Ramsey Clarke would say about it. The good Lord says we must forgive seventy times seventy-seven; but He doesn’t say when. My Catholic Church had sided with my enemy, as did many of those politicians and civil servants who governed us. They can take care of the forgiving of their friends. So, for now, I kind of go along with Bismarck – never forgive and never forget. 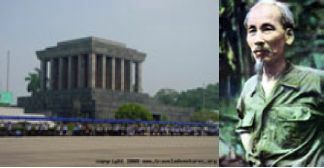 One of my fantasy dreams has been to return to North Vietnam as a Military Attaché. On some dark night I stealthily slip our of the Embassy in downtown Hanoi and repeat my urological experiment upon the crystal coffin of Ho Chi Minh. There would be no secret about that message. In the end, those of us who survived, won. We got to go home. Our captors are doomed to stay back there in their primitive backwater of a prison called the DRV. Now that’s what I call a victory. Birthday of Charles Arthur Stratton Jr.
Next Next post: What was so Horrific in Vietnam to Cause my Father to be…? 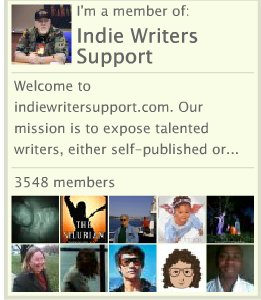 enjoy reading first-hand accounts. Bring all the POW’s home. McCain won’t do it. He is not interested.